A marsh is an ecotone, a transition between land and water. It can even be viewed as an intermediate stage between a lake and a forest. It will eventually become completely filled in, and will no longer be considered an aquatic ecosystem, but this transformation usually takes hundreds if not thousands of years. 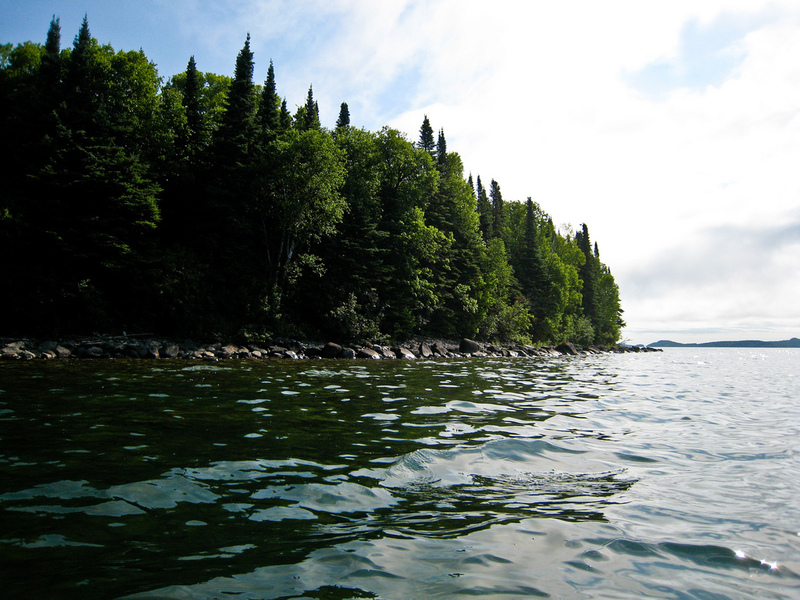 In coastal marshes of the Great Lakes, this successional process is governed by hydrology, that is to say, the way in which water flows into and out of the marsh, both from the watershed as well as from the Great Lake in question. To characterize the hydrology of a system, scientists determine the number of tributaries that drain into the marsh, and calculate the proportion of the drainage basin that is associated with each tributary. Cootes Paradise Marsh has three main tributaries: Borer’s Creek, Spencer’s Creek and Chedoke Creek. Of the three, Spencer’s Creek is the most important because it drains roughly 80% of the watershed. Originally, Cootes Paradise was classified as a drowned rivermouth marsh, and accordingly, it looked quite different from the current elongated shape. From documents dating back to the 1800s, we know the marsh was continuous from its outlet to the town of Dundas, which had then been a ship-building center and was an important port of Lake Ontario. Additionally, the marsh originally discharged through the northeast end of the marsh through the Grindstone Creek system, rather than through the dredged channel that you see now below Hwy 403 and the High-Level bridge. Historical documents tell us that the original creek bed was constantly choked with vegetation, and experienced frequent over-bank flooding, which is very characteristic of drowned rivermouth marshes. Around this time, Pierre Desjardins was granted permission to cut a canal through the marsh, in an effort to speed up passage between Dundas and Lake Ontario. The canal was dredged and straightened in the early 1830s, as indicated in the following photo. Because of the high sediment loading from Spencer’s Creek (probably due to rapid deforestation for shipbuilding and homesteading), the canal had to be dredged again within 5 years, and was consequently abandoned within twenty years of its construction. Currently, there is still very high sediment loading from Spencer’s Creek, as shown in the photo below. 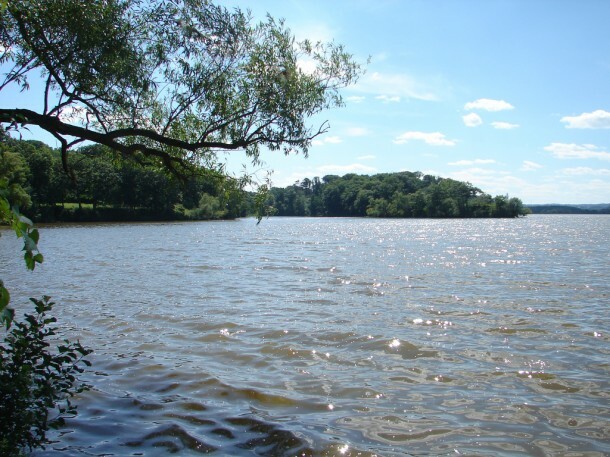 It is ironic that despite the large sediment loading from the watershed, Cootes Paradise Marsh has suffered from a deficit of sediment accumulation over the past century. There are various reasons for this. During construction of the Desjardins Canal in the 1800s, sediment was excavated and placed on adjacent banks. This prevented overbank flooding, which is the normal mechanism by which sediment acccumulates and fills in the marsh. Instead, the sediment passed directly into the harbour without settling out and nourishing the marsh. The material that make up the sediment is fine clay and silt, which tend to stay in suspension in the water. Prior to channelization and dredging of the new outflow, this fine sediment had time to settle out because of the sinuosity of the creek; however, after channelization and reinforcement of the creek bed, this material has more or less gone directly into the harbour through the Desjardins Canal. Two dams were constructed in the upper reaches of Spencer’s Creek to control flooding and this has resulted in sediment retention of at least 60% according to a report by Derald Smith (1995). Over the years, the paved roads in the watershed have led to higher runoff, especially after summer storms when the water rush down, carrying with it any of the top soil from exposed surfaces. This is a symptom of marshes in highly urbanized watersheds, and is one of the main reasons why effort should be made to reduce the amount of hardened, paved surfaces in the watershed. The Common Carp (Cyprinus carpio), a native of Eurasia, was introduced into Lake Ontario in the late 1800s (the first report was around 1879) and had since found its way into Hamilton Harbour and Cootes Paradise Marsh. The bulky and alien carp tends to resuspend sediment as it feeds and when it spawns; once resuspended, the fine silts and clays stay in suspension and are easily carried off into Hamilton Harbour. In brief, then, there has been a net loss of sediment in Cootes Paradise Marsh because the watershed has become highly urbanized, and because the nature of the sediment that comes into the marsh is mostly fine silt and clay that tends to stay in the water column and does not settle out easily in a channelized system. A large proportion of what it would have received is also being held back by dams on Upper Spencer Creek, or is prevented from entering the marsh due to the residual high banks from dredging the Desjardins Canal. To make matters worse, what sediment the marsh does receive is kicked up by carp and swept out to the Harbour through the canal. The consequence of all these factors is that there has been a net loss of sediment over the past century, and this has meant an increase in water depth in Cootes Paradise Marsh.